Endeavor In-Home Care can help you, an elderly family member, and other loved ones in so many ways, as listed in our Services sections. In addition, Endeavor offers these specialty services throughout the greater Phoenix area and the state of Arizona. Endeavor’s in-home care services work hand-in-hand with hospice services. Contrary to what many think, hospice services can be longer-term and also help to improve lives—not only for a few weeks, but for months and years. What hospice doesn’t do, Endeavor does. Hospice will have nurses and assistants come to your home two to three days a week for a quick visit, check your medical condition and medication needs, change bedding, and even do bathing. Endeavor caregivers do everything else, including preparing meals, medication reminders, light housekeeping, transportation, and companionship, as well relieving family members and sharing our experience in what can be some of life’s most tender moments. A caregiver can come every day for a few hours or do an overnight shift, and we can also be available 24/7 if needed. Endeavor works with a select group of quality and dependable hospice firms throughout Arizona. Your Endeavor case manager can make an introduction to best suit your location and needs. Cognitive therapy treats a broad range of psychological issues, such as depression, anger, anxiety, loneliness, panic, and fears, by focusing on how people think, communicate, and behave today rather than on early childhood experiences. Many of our clients who take advantage of our traditional in-home care services also benefit from cognitive therapy to help improve their quality of life. Endeavor In-Home Care offers a cognitive therapy program for clients concerned about a variety of issues, including symptoms of dementia, memory decline, fears about age-related life changes, and symptoms of depression and related conditions. The therapy is conducted by highly trained therapists and psychologists, and is covered by Medicare. Our clients typically get approved for two hours of therapy per week. 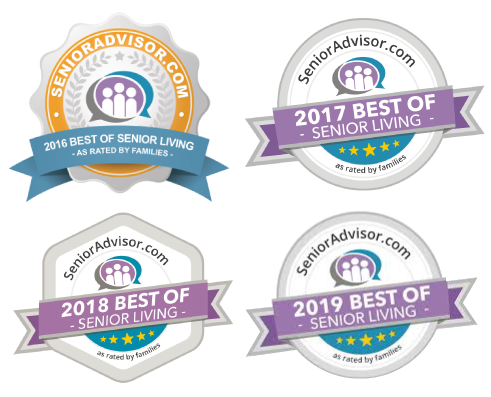 If your loved one suffers from dementia, Alzheimer’s, or Parkinson’s disease, you can trust in Endeavor to provide them with the companionship, assistance, and broad range of senior in-home care services they need to thrive. Endeavor is here to help in even more ways. We have a list of referrals that you can count on to give you quality and dependable service when you need it. Service providers include medical transportation, hospice services, home health services, rehab facilities, and physical therapists. We have senior placement referrals and even specialty senior moving servicers for when it time to move away from your current home. Endeavor’s team has years of experience in dealing with life’s challenges. Call upon us first to help with any need you have. We’ll help directly if we can or we’ll point you in the right direction so you can rest easier knowing you have a referral you can count on.